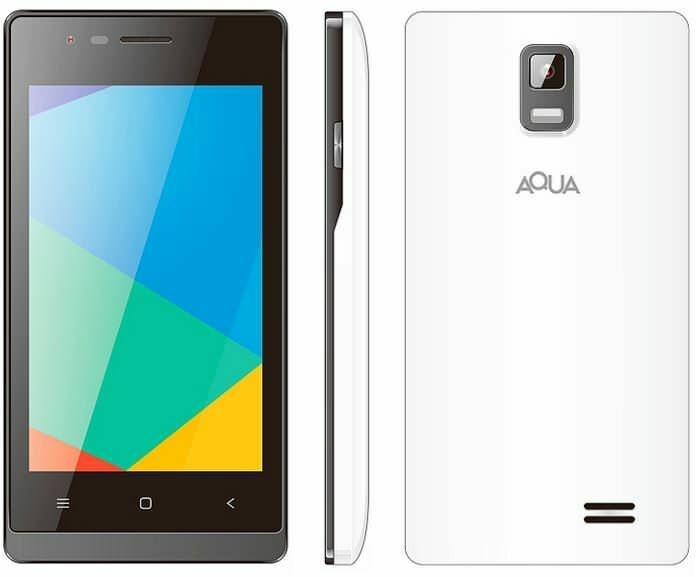 Domestic vendor Aqua Mobiles has launched a new smartphone in the country called the Aqua 3G 512. It is one of the most affordable Android smartphones in India with 3G connectivity in the sub-Rs 3,000 range. The Aqua 3G 512 comes with a 4-inch display bearing a resolution of 480 x 800 pixels. It runs Android 4.4 KitKat, and is powered by a 1.2GHz dual-core MediaTek MT6572 processor, aided by 512MB of RAM. The phone offers 4GB of internal memory, further expandable via a microSD card. It comes with a 3.2MP rear snapper, complemented by an LED flash, and a 0.3MP front-facing selfie camera. On the connectivity front, it offers 3G, dual-SIM slots, Wi-Fi, Bluetooth and micro-USB. A 2,100mAh battery keeps the handset running. The Aqua 3G 512 comes pre-loaded with several apps including WhatsApp, Viber, YouTube, Facebook, Clean Master, Office Suite and Saavn. The phone has been priced affordably at Rs 2,699, and will be available in Ebony Black and Pearl White variants across channels.